After 15 years of real estate investing success, I have seen just about everything in this industry. Below are some random truths and falsehoods about real estate investing I’ve seen. In no particular order, here they are. Share your thoughts in the comments section please. #1 I would much rather make $5000 on 50 deals than $50,000 on one deal. 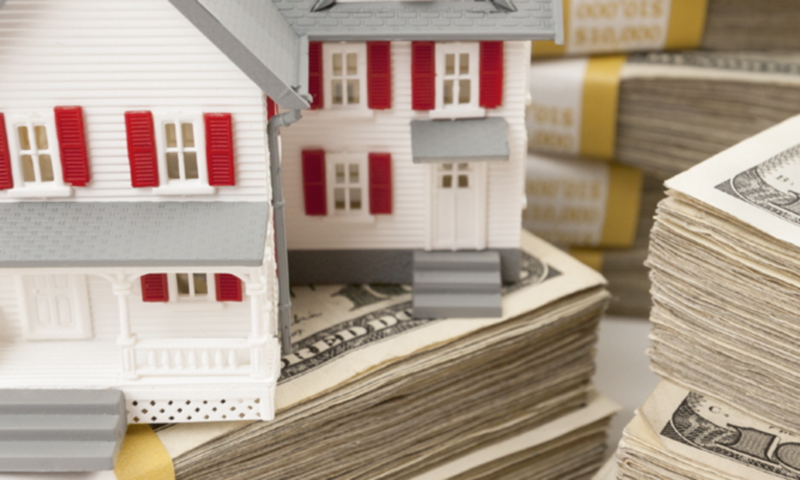 Many real estate investors spend far too much time chasing the big score. That’s why after five years, they’ve done 2 deals. After five years in the business, I’d done more than 300 deals. That’s because I do somewhere between 50 and 100 deals a year, averaging about $5000 each. #2 I embrace the ugly deals that most investors don’t want. An early mentor told me to go LOOKING for houses with ‘foundation problems.’ Most investors won’t even look at a house with a ‘foundation problem.’ It turns out that many of those problems are $5000 or less fixes. I’ve made several hundred thousand dollars over the last 15 years on such houses. I also buy burned out houses without a thought, if the area and price are right. #3 You do not have to be a landlord to be a successful investor. I once rehabbed and rented out houses like you do. My mentors convinced me years ago to knock that off. Today, I only do $10,000 in rehab in 30 days, and resell with 10% owner financing to qualified buyers. I make 12-15% per year, a hard working family owns a house, and the neighborhood improves. Everyone wins. #4 I only work with positive people who dream big. When I was younger, I wanted to make $1000 a week in real estate. I got there quick by associating with positive people who dreamed big about making $10,000 and $50,000 a week and more. I got there because their success and optimism rubbed off on me. There is plenty of negativity in real estate, as in any industry. Some people just want to sit around and complain about how hard things are, what someone else is doing that’s ‘illegal,’ and so on. Get away from them. I only surround myself with positive, successful real estate investment people. I have no time for negativity. #5 Over rehabbing properties destroys many real estate careers. When you walk into a run down house, it is very tempting to spend $50,000. I never do that in my business. As with this house, I tell the investor to spend $5000 or $10,000, and then resell it at a 12% annual profit. Doing just enough rehab to resell the house is the secret. Don’t do more than that. #6 What the house was worth last year is meaningless. Real estate markets change overnight. What matters is what the house is worth compared to similar houses in the same neighborhood – right now! I have had investors walk away from a deal that would have made them 14% per year for 10 years, because they were worried about the house costing $10,000 more than a year ago. Absurd! So I bought the house myself and I’m making the 14% 🙂 :). #7 Cheap, steady real estate markets beat the big boom/bust markets. Austin TX is going crazy these days, with median house prices over $270,000 and climbing. I used to try to buy in Austin, but I found it was just too expensive. I find San Antonio to be much better, with low prices, strong steady demand, and a fairly even economy that never goes to high or low. #8 I never charge top price for a real estate investment. I have had properties that I sold for $55,000 that I could have sold for $70,000. I sold it for $55,000. Why? Because I want the investor to get an incredible first deal, and then come back and buy 10 more. If you want to get rich in real estate, don’t get greedy. Think about the long game. #9 Buy real estate for monthly cash flow, not for long term appreciation. If my real estate investments appreciate, that’s fine. But I’m also fine if they decline. As long as I am generating positive monthly cash flow, I’m delighted. Investing for appreciation CAN work, but it’s complicated and often depends upon things outside the investor’s control. It’s like this – why risk the low percentage/high reward trick shot in billiards if you can make the straight shot in the left corner pocket every single time? That’s how I look at real estate. I have more than 40 houses producing $500 to $1000 per month in cash flow. How much they appreciate is irrelevant to me. #10 Always buy your houses under market value or don’t buy. I never pay market value for any property I buy. If I cannot buy it for at least 20% less than market value, I move on. Buying under market value protects the investor in a down market, and makes it easier to turn a profit. Many real estate investing careers are gutted by rookies buying houses at or above market value. #11 I buy distressed houses in cash, no mortgages. Buying in all cash means no stress if I have a foreclosure or vacancy. It also means that I can buy any house I like; you can’t finance houses under $50,000, and it gets very complex getting financing on many houses under $75,000. #12 I make a buy or no buy decision immediately and stick to it. One of the most important parts of my success is my local reputation. People know I am a serious investor and I stick to my word. If I say I will buy a house, I buy it in cash in 14 days or less. Guard your reputation in your city like gold, and it will pay you back for decades. I make sure I have plenty of cash on hand to buy the houses I want to make 10-15% per year.